New book out soon! 'Like' Paul on Facebook or follow him up on Twitter for updates! 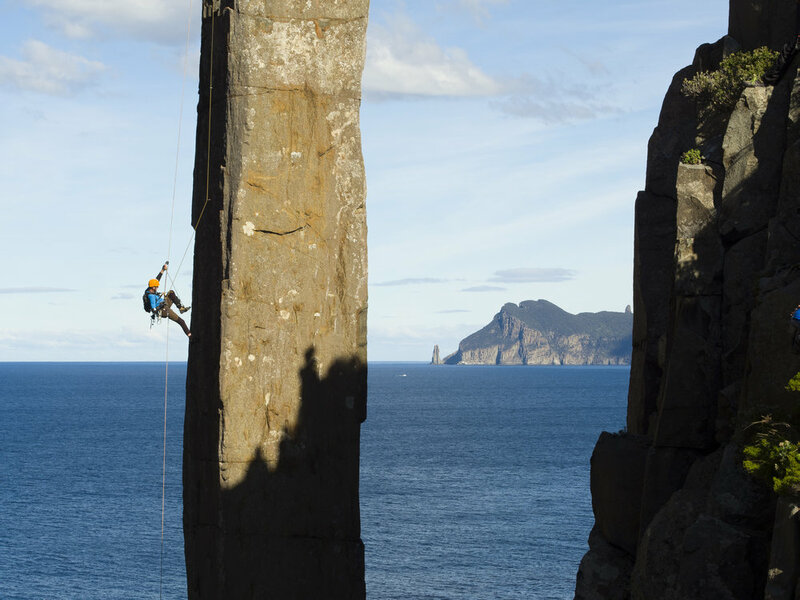 When he won the Boardman/Tasker Award for mountain literature in 1997, with his book Deep Play, he spent the prize money on a world climbing tour that found him in Tasmania climbing a slender sea stack known as The Totem Pole. It was here that all he had known before was turned on its head. On Friday the 13th of February 1998 a TV-sized boulder falling from 25 meters inflicted such terrible head injuries that doctors thought he might never walk or even speak again. Being in hospital for a year gave Paul the impetus to write his second book: The Totem Pole in 2000. This narrative about his personal journey through hemiplegia also won the Boardman/Tasker prize and the Banff Mountain Book Festival Grand Prize and was translated into four languages. 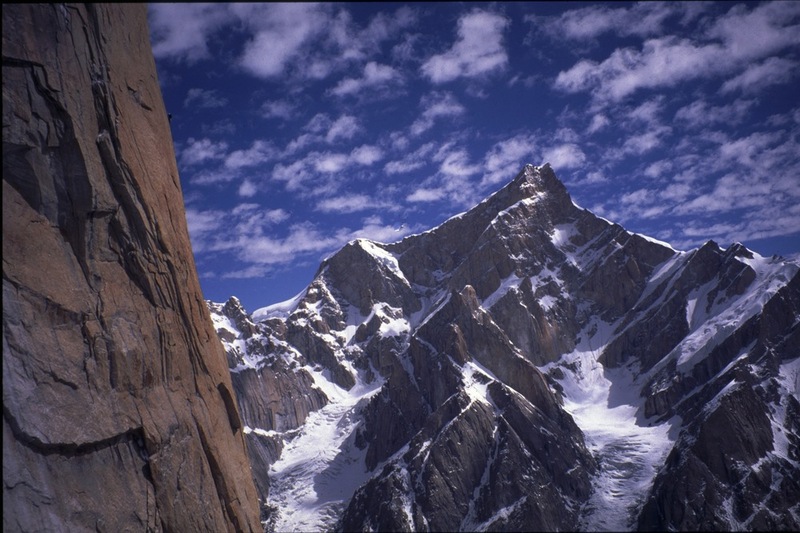 Nominated for the Banff Prize, The Longest Climb followed in 2005. 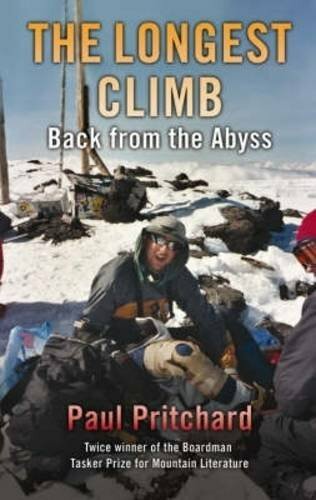 He has continued to lead a challenging life, climbing Kilimanjaro, caving, sea kayaking, river rafting and, in 2009, lead rock climbing again. 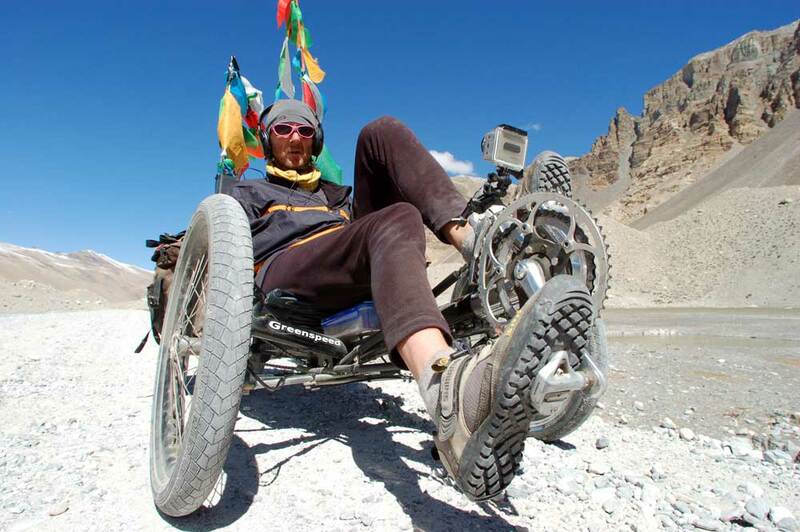 Paul rode a recumbent trike through Tibet to Mount Everest and, in 2016 he finally climbed the Totem Pole, 18 years after his accident. His latest journey was the 2152 km World Expeditions Lowest to Highest Expedition. Paul has spent his time since the accident in contemplation of the hemiplegia which has robbed his right side of movement and continues to play tricks with his speech and memory. He sees the accident as a precious gift and describes it as the best thing that has ever happened to him. He is a passionate believer that without the mountains he climbed, and moreso the Totem Pole accident, he would not have learnt some crucial life lessons. 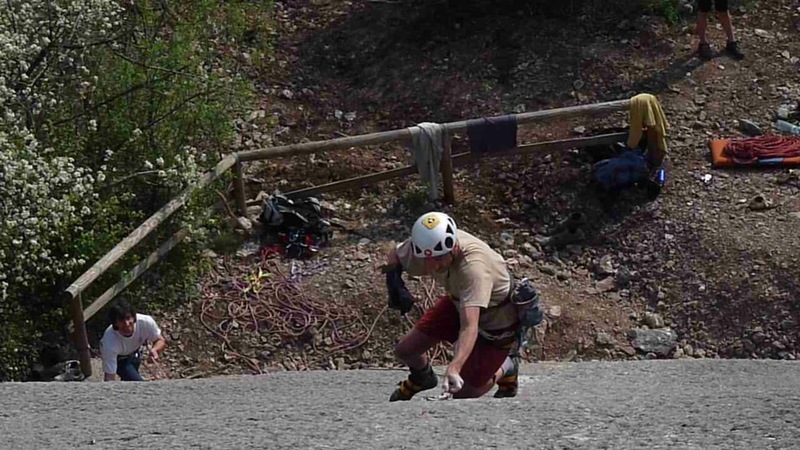 Those lessons learned in the mountains got him through a harrowing injury, and the painfully slow recovery process has engendered a life lived in the moment. "I use them still, repeatedly, each day of my second, radically different life." "As we progressed along the ride something slowly dawned on me: this was a journey of empowerment. A Freedom for people with disabilities." Paul continues to go on adventures, gives talks at events around the world, and is an award winning author. He lives in Tasmania with his partner & kids. 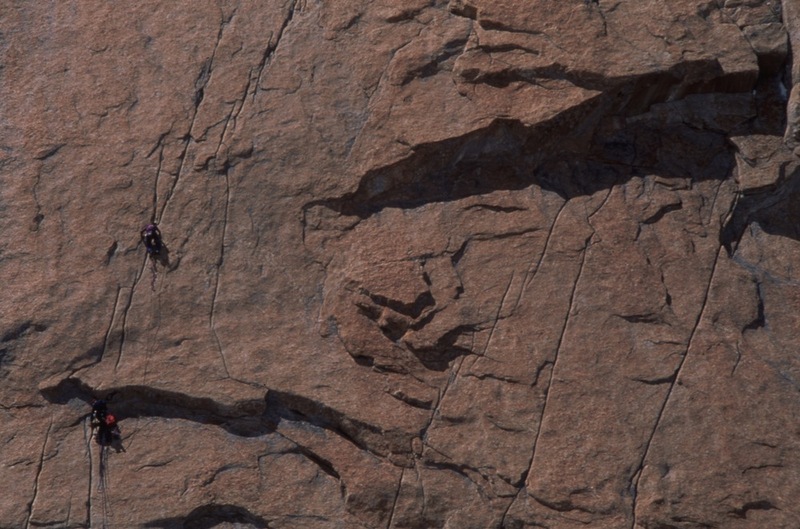 Available online: The Totem Pole, The Longest Climb, and Deep Play. Schedule Paul's talk for your next event. AMP tomorrow fund lunch - Sydney 18th January 2018 - ICC Darling Harbour. Rotary Tasmania Conference 7 April 2018 - Grand Chancellor, Hobart. Grade 6 Intense Experience Writing 21 May - 21 Aug - South Hobart Primary. Australian Adventure Travel Film Festival - 26th May 2018 - Guildford - WA. Inspirational Insights - 29th May 2018 - Hobart - RACV Hotel. State Cinema - 27th July 2018 - Launch of Lowest To Highest. Devonport - 16th September 2018 - Lowest To Highest and Doing It Scared Q/A CMAX Cinema. Hutchins School - 30th September 2018 - Hobart. Kingston - From Little Things - 17th Oct 2018 - Civic Centre. Cygnet - From Little Things - 23rd Nov 2018. Eagle Hawk Neck - From Little Things - 1st Dec 2018. Wynyard - From Little Things - 5th Dec 2018. Kunming -Banff China Carnival - 1st Jan 2019. 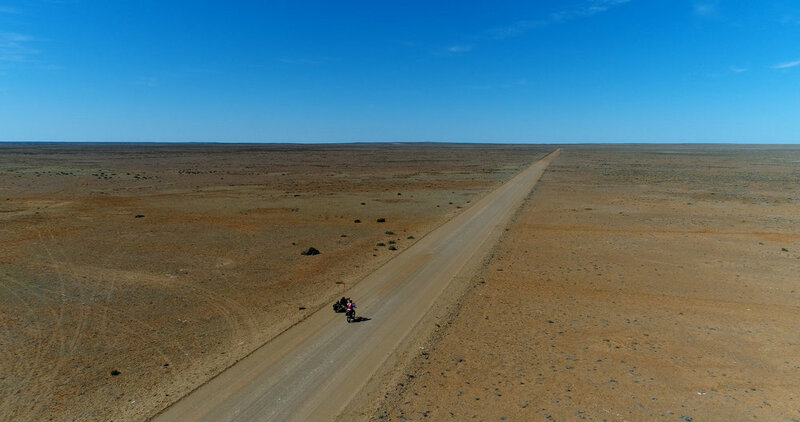 Watch this site for updates on the Rummin film Lowest To Highest documenting the 2018 Australian Geographic Spirit of Adventure’s last big adventure, an unprecedented 2152km pedal powered expedition from the lowest to highest point in Australia. Now available in Kindle here. 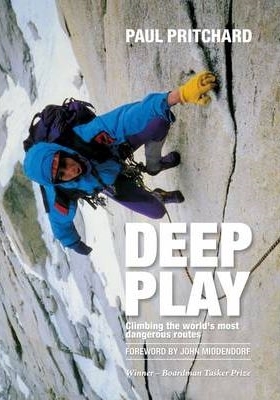 Available from Amazon and The Book Depository: The Longest Climb, and Deep Play. Through the boundless landscape of Australia, five friends attempt to be the first to cycle 2150km from Kati Thanda-Lake Eyre - a vast salt lake in the central desert 15 metres below sea level - to the snow capped summit of Mount Kosciuszko, the highest peak in Australia.